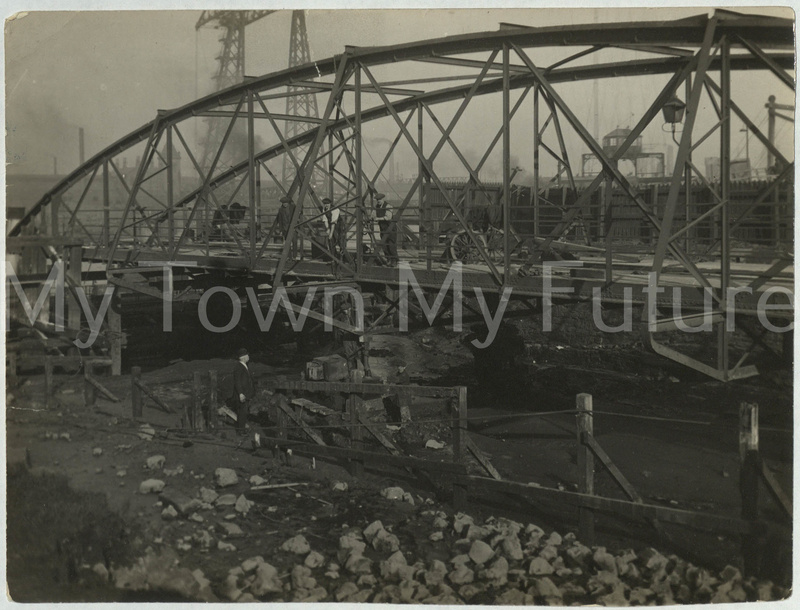 Great picture this, probably early 1920’s as it looks like they’re dismantling the old hinged bridge to the south side ferry landing. The ferry landings were pontoons that rose and fell with the tide to accommodate the paddle steamers ‘Erimus’ and ‘Hugh Bell’. The service ceased with the opening of Transporter Bridge.